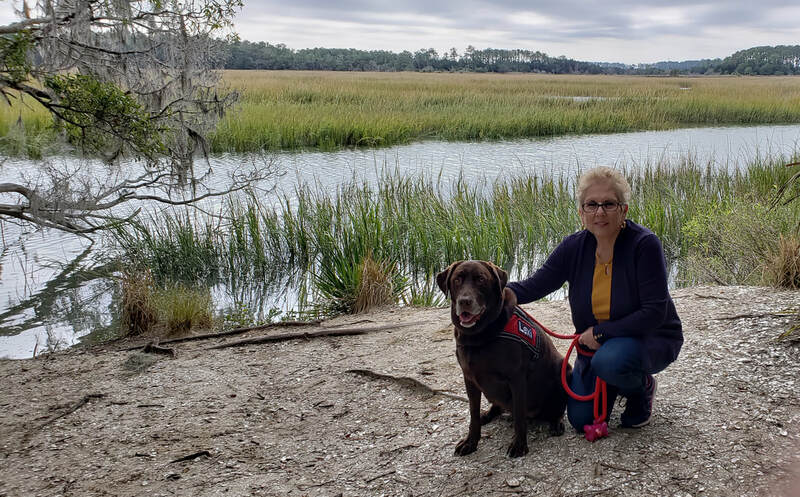 Lexi is an 8-year-old Chocolate Lab, that is AKC registered and has passed the AKC Canine Good Citizen (CGC) test, as well as being a certified Therapy Dog for 4 years. Her father was a chocolate lab and her mother yellow, so when you look up close to her you will see golden highlights on her head. Lexi is as playful as she was when we got her as a puppy. Somehow, that inner clock knows that at 4 o’clock her dad will be done with work, and then she is off to play. 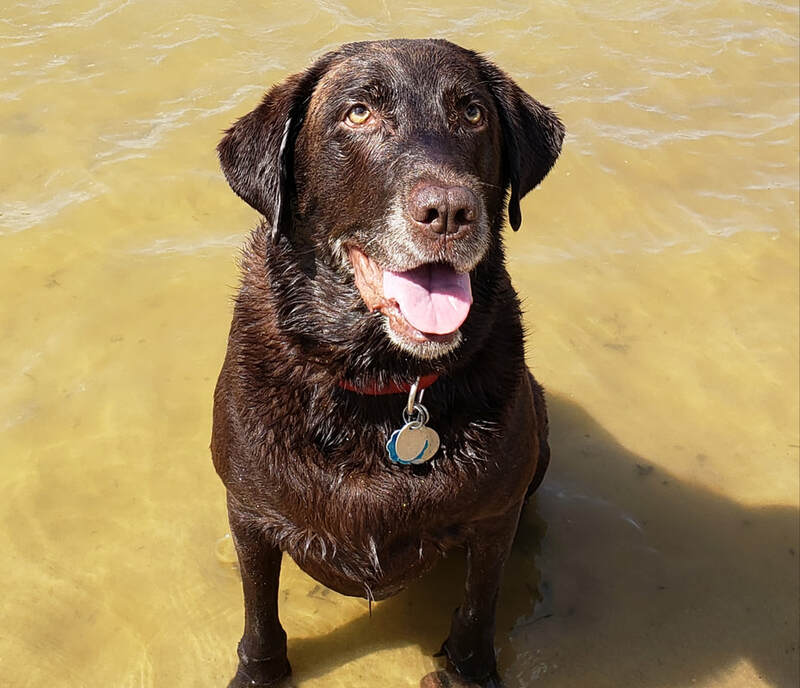 True to her breed she is a water dog and can retrieve a ball non-stop. 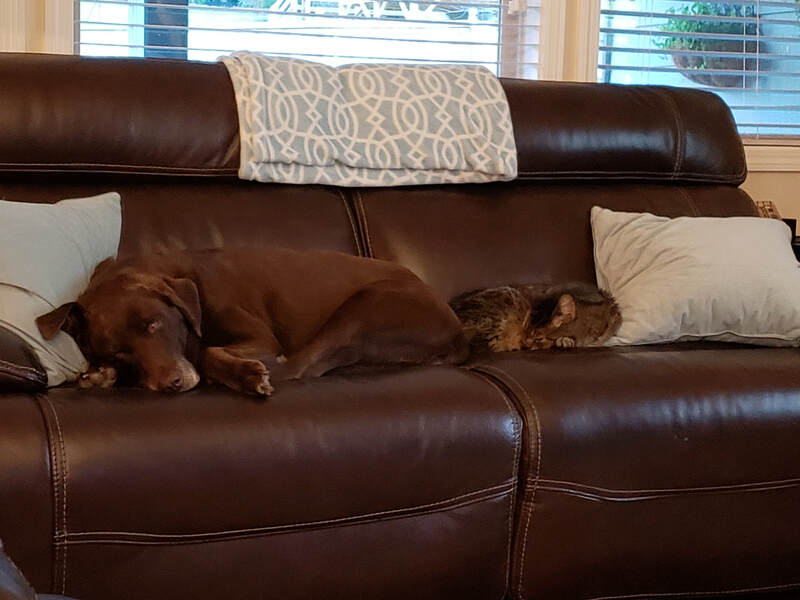 She loves her brother, Bobcat, and they are always curled up on the bed sleeping together. Outside of playing Lexi loves people and children. She knows that when the vest goes on, it is time to work.